Take incomparable ceramics, add premium plastics, specify ‘sanitaryware’ and ask designers Ludovica and Roberto Palomba to blitz it up. 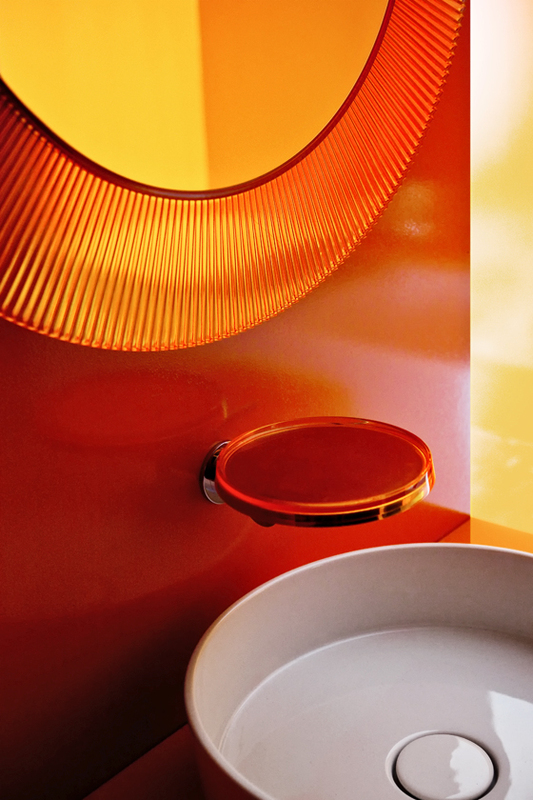 What you get is the best of Kartell and Laufen. Ever stop to consider how much time you spend in the bathroom? Washing, bathing, brushing your teeth, dressing, applying make-up, taking a quiet break . . . 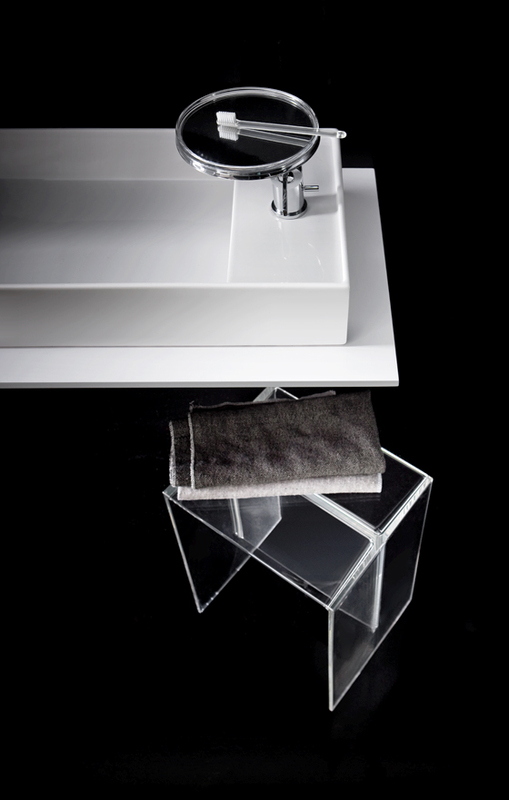 According to Italian designer Roberto Palomba, though we may be unaware of it, the bathroom is our safe haven. It’s where we go to find ourselves at the beginning and end of each day. Whereas we can point to umpteen design solutions for the living room, the kitchen and even the entrance hall, the bathroom often gets the short end of the stick. Of course there are bathrooms in minimalist white, in vibrant mosaic, with a Zen-style aesthetic and, for fans of the 20th century, with a familiar retro look. But that’s about it. Seems strange, and that’s what Laufen Senior Managing Director Alberto Magrans thought, too. ‘We wanted to create a bathroom environment with a strong personality, but with various ambiences,’ he says. ‘Our aim was to bring something totally new to the bathroom scene.’ With that aim in mind, the Swiss bathroom innovator went looking for a potential design partner and found its match in . . . Kartell. 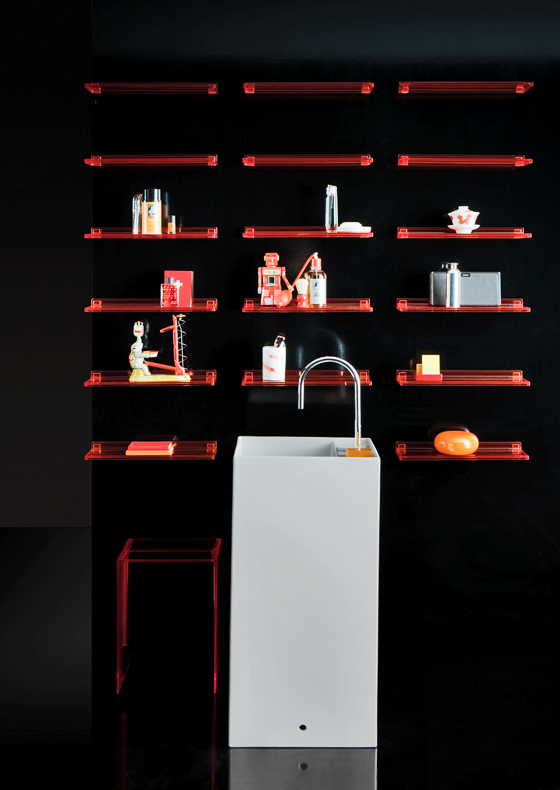 Several years ago, it dawned on Kartell owner Claudio Luti that his company could make an essential contribution to the bathroom sector. Laufen was the logical choice. The Swiss firm had years of experience in the top market segment, and its latest technological revolution, SaphirKeramik – a seemingly fragile but super-strong material that can be used to create extremely thin walls – offered bathroom designers new opportunities for working with ceramics. ‘We share the same values and vision,’ says Magrans. Under the expert supervision of designers Roberto and Ludovica Palomba, the two companies spent three years exploring the potential of their collaborative efforts ‘to look beyond the obvious’. Laufen’s SaphirKeramik follows a trend that has overtaken the world of electronics – think thinner-than-thin smartphones and tablets. 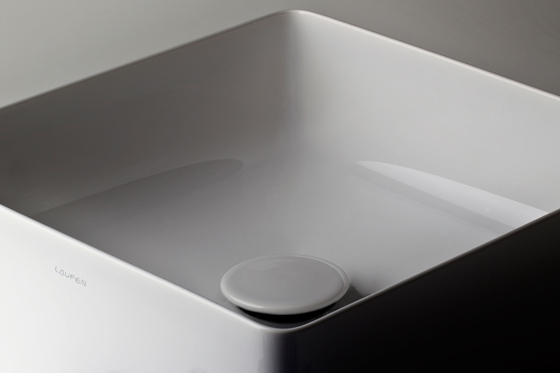 As strong as an ox, SaphirKeramik offers designers an opportunity to make basins and other sanitaryware with walls as slender as 4 mm, a result that Laufen Senior Managing Director Alberto Magrans says would not have been thought possible before now. ‘It’s a premium material, which will challenge designers to create sanitary products in a new way. We don’t want to redo existing pieces; our aim is a revolutionary new look. It’s also a sustainable choice, as a full 40 per cent less raw material is needed to create SaphirKeramik.’ As with all things new, the price is rather steep, but it’s expected to drop in the coming years. 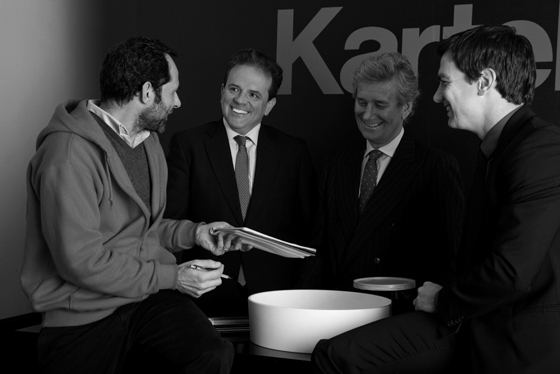 Laufen for Kartell was launched at the ISH in March 2013.